We’ll assess your risk and shop around to find the best coverage for your excess liability. Please complete the fields below to receive your excess liability quote and risk analysis report. Which state are you licensed in? Please list any other drivers in the household. Please list the addresses of all residences and vacant land that you own anywhere in the world. Please list any watercraft over 25 ft in length or 50 horse power that you own or lease. Check the box below if you would like us to use your credit score to deliver the most accurate rates for your insurance needs. 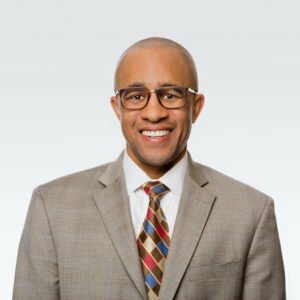 Thomas Ward Insurance Group met and exceeded all of our expectations. They were able to find us exceptional insurance covering all our needs, some of which we did not realize we were missing, at a lower cost than we were originally paying. Our agent took the time to listen to us and give us the best possible coverage. We highly recommend them. This quote will take you about five minutes to complete. Once we have your information, our team will analyze your risk. We’ll shop between carriers to find you the coverage you need at the right price. We’ll email you your risk analysis and quote within 1-2 business days. 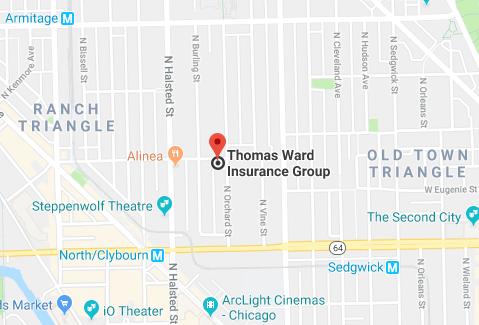 Thomas Ward Insurance Group provides home, auto, life and business insurance services throughout Illinois including Chicago, Lincoln Park, Wicker Park, Bucktown, Lake View and the counties of Cook, Will and DuPage.